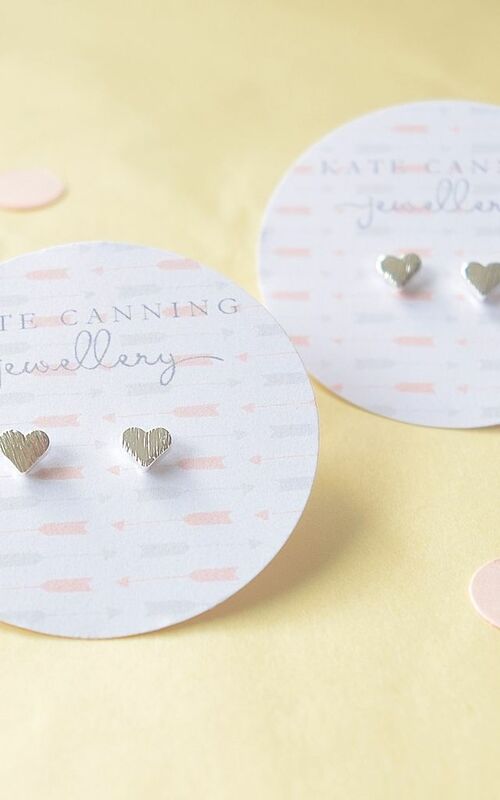 These delicate silver heart stud earrings would make a perfect gift for a girlfriend's birthday or present for a friend. 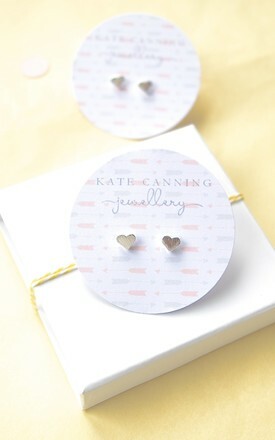 The heart motif is always appreciated in a gift from someone special! The unusual etched edict on the surface of the earrings give a contemporary twist to a classic style. 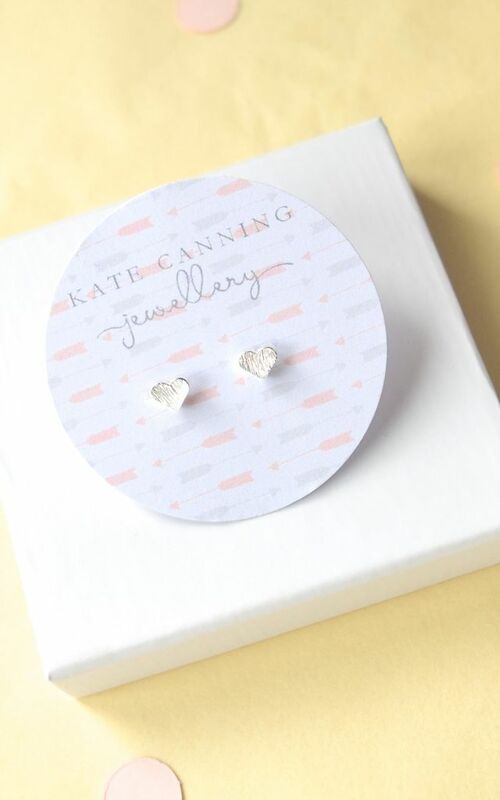 Beautifully presented on a grey and pink jewellery card, there is the option to add a sturdy white matchbox jewellery gift box, making these silver stud earrings a ready to give gift.